Conjugated Linoleic Acid with Green Tea Extract is seen as a ""wonder nutrient"". CLA occurs naturally in a wide variety of foods such as beef, some dairy products and turkey. In the modern diet there is just enough CLA for the actual purpose. CLA is now fortified with Epigallocatechin Gallate (EGCG) and has anti-oxidative properties. You must be 18 years or older to purchase this product. As a dietary supplement, take 1 to 2 softgels, two to three times daily with or after meals. CLA oil, Green Tea Extract; Polyphenols, Catechins, EGCG, Caffeine. As with all exercise and nutritional programs, please consult your physician first. Do not use if you are pregnant or lactating or if you have any medical condition. If anxiety, dizziness and depression are a result, lower dosage or stop use. For best results a sensible diet should be followed. 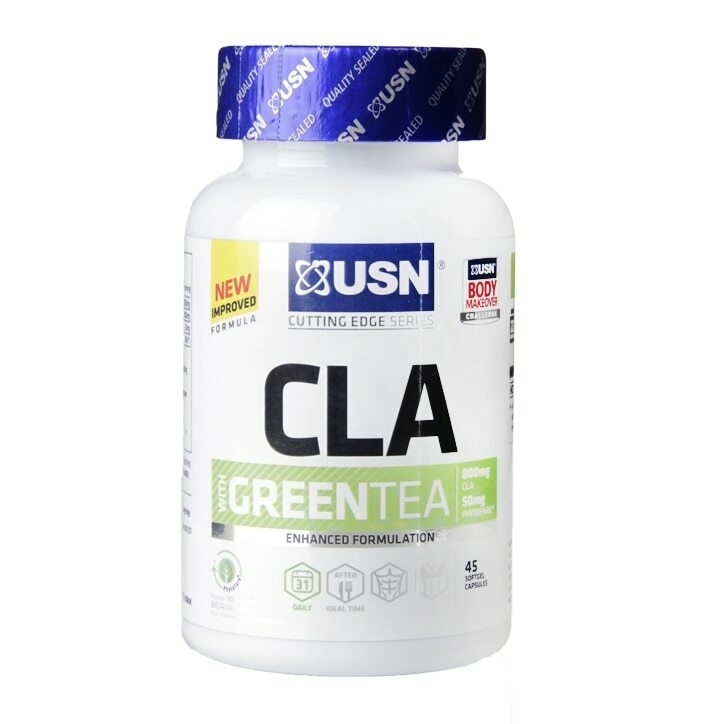 USN CLA Green Tea Capsules 1000mg is rated 5.0 out of 5 by 1.